Carol Shuman Portman became president-elect of the Taxpayers’ Federation of Illinois, effective October 1, 2012. Her duties as president officially began January 1, 2013. Before joining TFI, Ms. Portman was Assistant General Counsel – Tax at Sears Holdings Corporation, specializing in state and local tax matters. Her corporate tax experience also includes in-house counsel positions at Ameritech Corporation and Waste Management Corporation. She began her career at the Chicago law firm, McDermott, Will & Emery. Ms. Portman brings to TFI not only a strong understanding of Illinois’ taxes, but a broad base of tax knowledge gained from her exposure to taxes around the country, and their impact on individuals and a variety of industries. Ms. Portman is also very familiar with the Taxpayers’ Federation of Illinois, its mission and its members: she has served as its chair, as treasurer, and has been on the TFI Board of Trustees for 12 years. A native of Sullivan Illinois, Ms. Portman’s first exposure to Illinois government and fiscal policy came at an early age—her father, Charles W. Shuman, was a delegate to the 1970 Illinois Constitutional Convention. Her grandfather, the late Charles B. Shuman, was president of the Illinois Farm Bureau and the America Farm Bureau Federation. Ms. Portman lives in Downers Grove with her husband Chris. They have two daughters, Erin and Katie. Portman is a 1984 graduate of the University of Illinois and a 1987 graduate of the University of Michigan Law School. 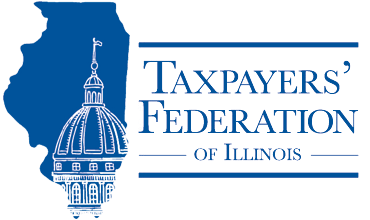 Maurice Scholten joined the Taxpayers’ Federation of Illinois in January 2015 as Legislative Director. Before joining TFI, Mr. Scholten was Senior Legal Counsel for the Senate President’s Office where he worked on taxes, pensions, workers’ compensation and unemployment insurance. Prior to that, he was at the Department of Revenue and worked at a property tax law firm while in law school. Mr. Scholten received a Bachelor of Science in Mechanical Engineering from Iowa State University and a juris Doctor from the Loyola University Chicago School of Law. Kellie Cookson has worked as Executive Secretary for the Taxpayers’ Federation since December 1994. She was assigned Office Manager in October of 2007. Her primary duties are website maintenance, membership billing, publications and general office duties. Prior to that, she was an MLS secretary / receptionist at the Springfield Association of Realtors. She and husband, Rodger, their two sons and daughter reside in Springfield. Tracy Scaduto joined the Taxpayers’ Federation of Illinois in May 2013. She is a retired State of Illinois employee and resides in Springfield with her husband and son.